Some comments from the Committee Meeting of Friday 7th February. 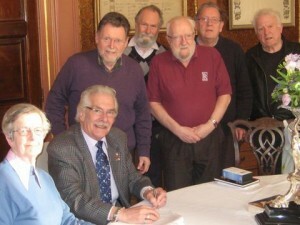 Home » News » Some comments from the Committee Meeting of Friday 7th February. We had a well attended, interesting & fruitful (BBTA) meeting on Friday 7th February, 2014. Our next meeting is scheduled for 21st March when Barbara Heck, a member of the Anglo German Association in Braunschweig (Deutsch-Englische Gesellschaft DEG) will be giving us a presentation on her home city, and trying to encourage us all to make arrangements to visit this year. The year 2014 has special significance as most are aware and exchanges would forge more strongly our long standing relationship. Members of the Committee from left: Hilary, Bryan, Brian, Jeremy, Don, Tony and Nigel. Hi, you-all, it is nice to see you on the website. I´ll try chatterbox next. Been very busy, and in fact my new school (grammar school, Kepler gymnasium Freiburg, go google it if you like) would very much like to establish a contact, aka exchange and or visit… any interest on your side? I truly think any such visiting program should include at least two of your members of the board to come over and visit the Black Forest, what do you think? Age range: grade 9, maybe, or younger… . 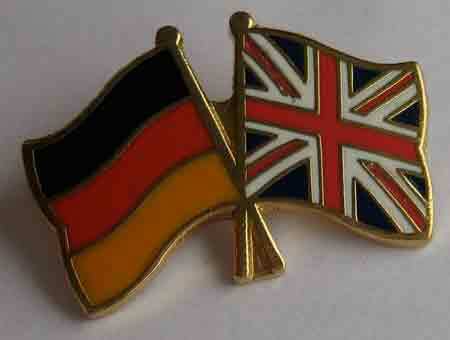 It needn´t be a German class on your side. Cultural exchange is quite nice, too. And who is coming over this summer or spring? Hopefully, you will include a trip down to the BlackForest, please. Hilary, Brian, Don: good to see you on a photo, come on over so that you can post a photo from down here… . Sabine, mit oesterlichen Gruessen. All the best from Waldkirch, the only city with no English twin city as far as I know.